"Beneath the stomping country rock of Ben Dukes’ latest single, “Old Fixer Upper,” is the beating heart of a man who has lived through it all – loss and success, united together in the passage of time.” (Stacey Zeiring, No Depression) Unlike the mass of young country singers cropping up today, Dukes is not concerned with pandering to the pop-country vibe. His lyrical content and style bend much more to the outlaws of old, and honky-tonkers like Hank Williams Junior than the frat-boy country style. His music is honest, real (at times a bit too much so) and it is uniquely his own. He is every bit the "Spectacular American Artist" he was dubbed by Late Late Show Host Craig Ferguson. Dukes grew up in LaGrange, Georgia where he spent weekends in the woods, listening to Southern Rock and Outlaw Country music. 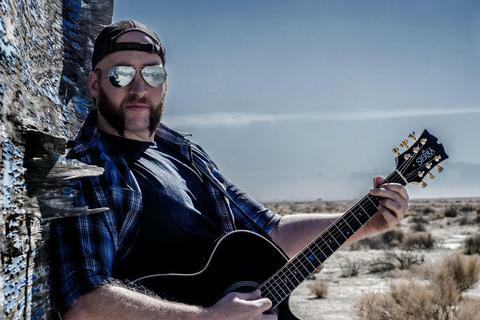 When he began writing his own music, it’s no surprise that the themes that crept out of his Jeep’s stereo as a teen found their way into his guitar. His debut album, “Walkin Thru Hell” produced a Country Song of the Year nomination for the title cut by the Hollywood Music in Media Awards, and his single “Old Fixer Upper” found national television airtime when Dukes played on The Late Late Show on CBS. Dukes is a budding country artist who is ever increasing in popularity and is not long for obscurity.